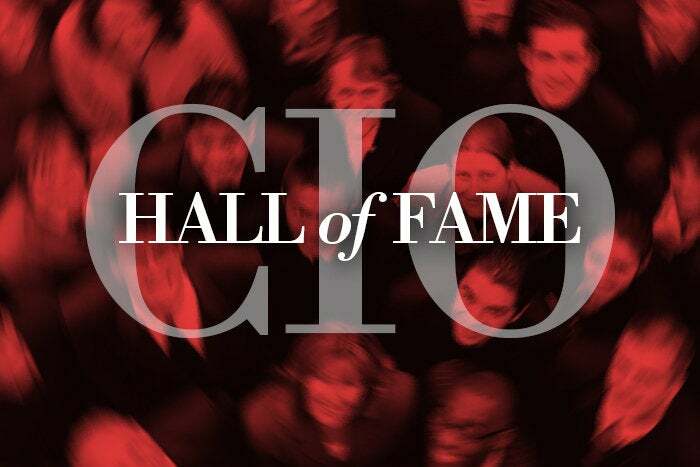 Meet the CIOs enshrined in the the CIO Hall of Fame ‚ from the Class of 1997 to the Class of 2018. CIO’s Hall of Fame celebrates outstanding personal achievement in IT, honoring the technology executives who, along with significant accomplishments in the field of IT, have all demonstrated substantial business impact and technology vision within one or more organizations. They have a reputation for leadership among their peers (or outside entities such as the media or industry experts) and have shown a positive influence on the IT profession and/or advancement of the CIO role. Previous successful nominees have been current CIOs with at least 10-15 years' experience in CIO positions at mid-sized to large enterprises. The first step to get to the Hall is to fill out a brief form, which can be completed by the candidate or by someone else. Candidates who meet the criteria will be invited to fill out the final application, which includes short essay questions about past work experience, leadership accomplishments, awards and references. Below is a list of the 120 members of the CIO Hall of Fame, showing the year of their induction and their company affiliation at the time. Joel Jacobs, VP, CIO & CSO, The MITRE Corp.
Chris Perretta, State Street Corp.
John Doucette, United Technologies Corp.
Cinda A. Hallman, DuPont Co.
Katherine M. Hudson, W.H. Brady Co.
Ron J. Ponder, AT&T Corp.
Patricia M. Wallington, Xerox Corp.